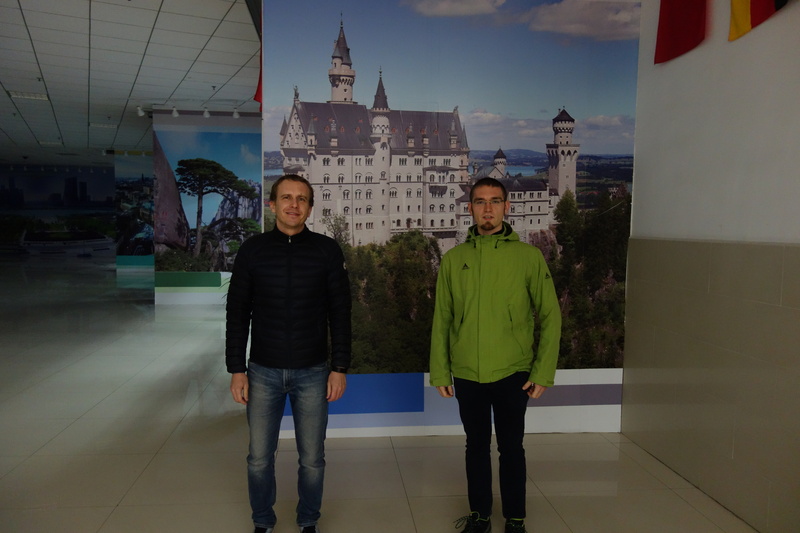 Our institute welcomes Prof. Dr. Jörg Lässig and Mr. Markus Ullrich for a research stay from November 19 to 26, 2017, at our group. Prof. Lässig is the head of the Enterprise Application Development (EAD) group of the Faculty of Electrical Engineering and Computer Science of the University of Applied Sciences Zittau/Görlitz (HZG, Hochschule Zittau/Görlitz), located in Görlitz, Germany and of a IT security group with the Fraunhofer Society. 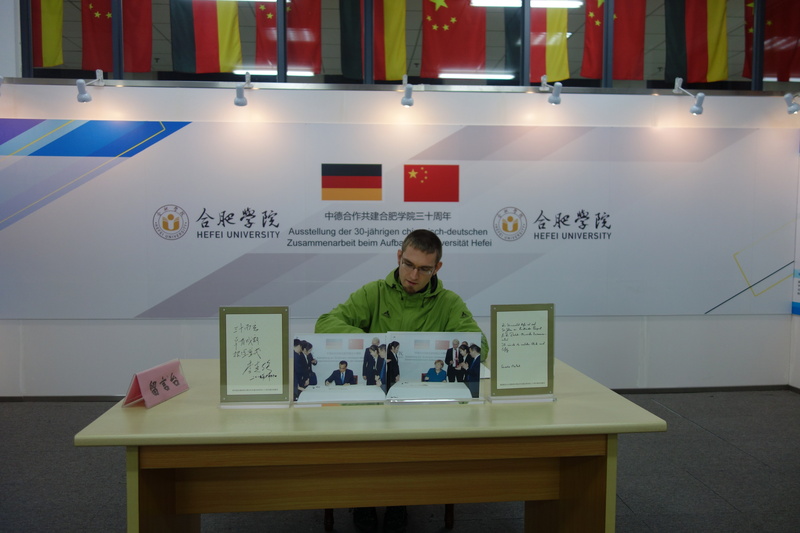 Mr. Ullrich is a PhD student under his co-supervision and researcher at the EAD group. Between our team and the EAD group exists a history of collaboration dating back quite a few years. 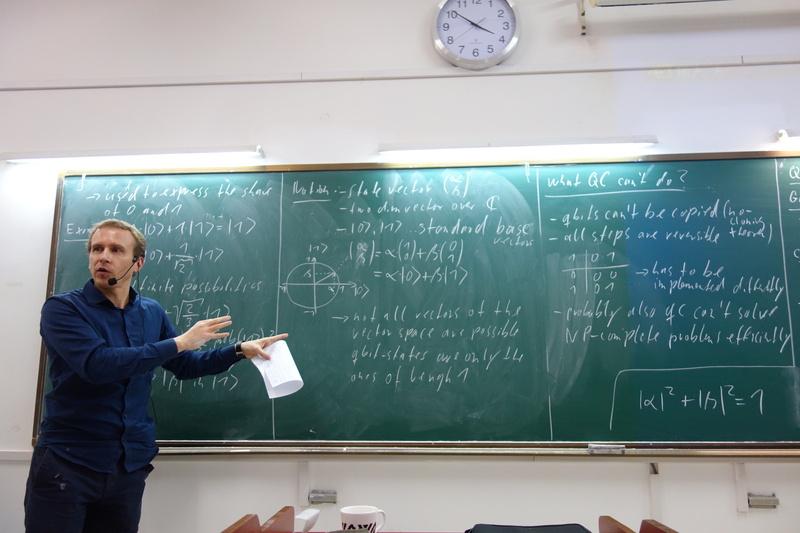 Together, we have analyzed several classical optimization problems from logistics and scheduling, including scheduling against due dates and windows as well as the Traveling Salesman Problem (TSP). 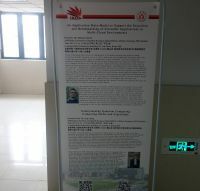 We also jointly contributed works on Evolutionary Computational in general. An important aspect of our work always the benchmarking of optimization algorithms. We work together on the TSP Suite, a framework for implementing and comparing algorithms for the TSP. 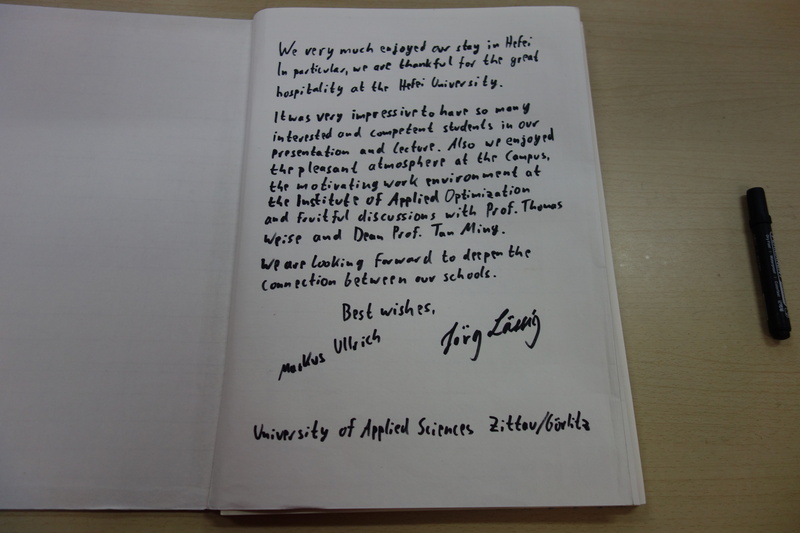 Delegations from the EAD have visited us in China already in 2013 and 2015, while Prof. Weise visited the EAD in 2016 and 2017. Prof. Dr. Jörg Lässig is a Full Professor at the Department of Computer Science at the University of Applied Sciences Zittau/Görlitz (HSZG). He studied Computer Science and Computational Physics and received his Ph.D. for work on efficient algorithms and models for the generation and control of cooperation networks at Chemnitz University of Technology. 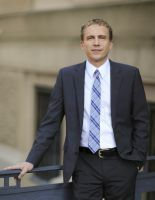 As postdoc he worked in projects at the International Computer Science Institute at Berkeley, California and at the Università della Svizzera italiana in Lugano, Switzerland. His EAD research group at HSZG and his IT security group with the Fraunhofer Society are focusing on topics concerned with intelligent data driven technologies for state-of-the-art IT infrastructures and services. 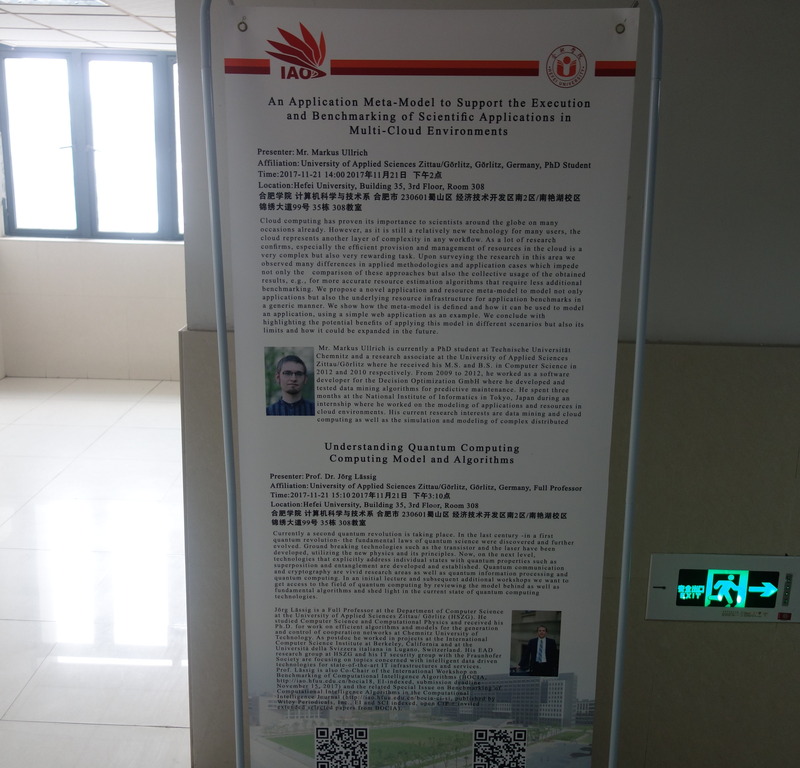 Prof. Lässig is also a co-chair of our International Workshop on Benchmarking of Computational Intelligence Algorithms (BOCIA) and a co-guest editor of the Special Issue on Benchmarking of Computational Intelligence Algorithms in the Computational Intelligence Journal with Profs. 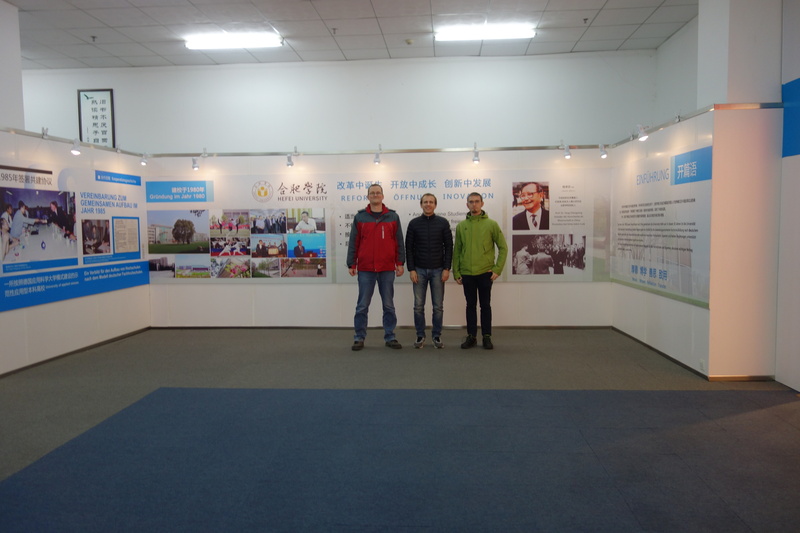 Thomas Weise, Bin Li (USTC), Markus Wagner (University of Adelaide, Australia) and Xingyi Zhang (Anhui University). 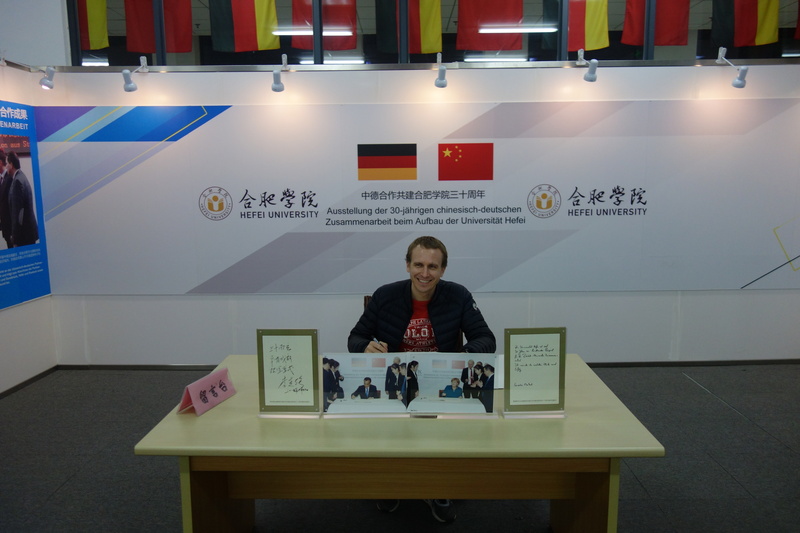 Mr. Markus Ullrich is currently a PhD student at Technische Universität Chemnitz and a research associate at the University of Applied Sciences Zittau/Görlitz where he received his M.S. and B.S. in Computer Science in 2012 and 2010 respectively. 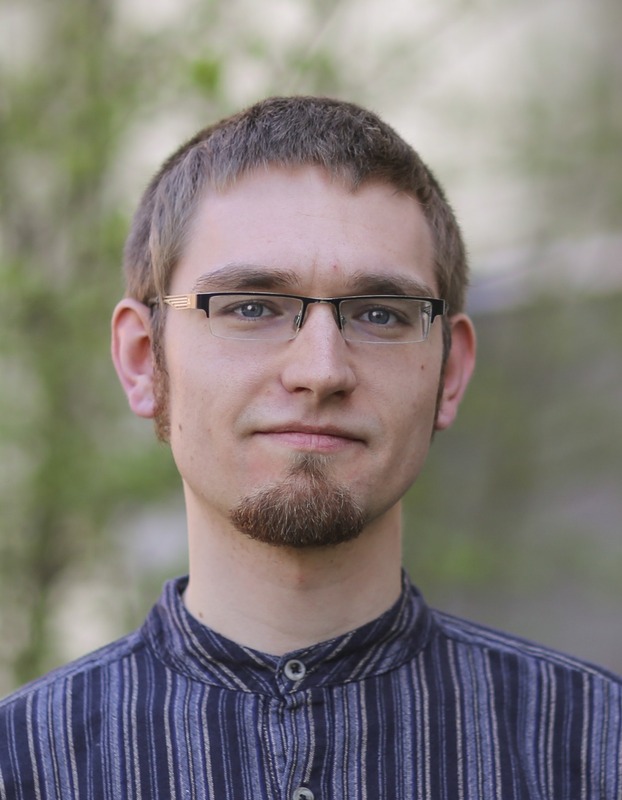 From 2009 to 2012, he worked as a software developer for the Decision Optimization GmbH where he developed and tested data mining algorithms for predictive maintenance. 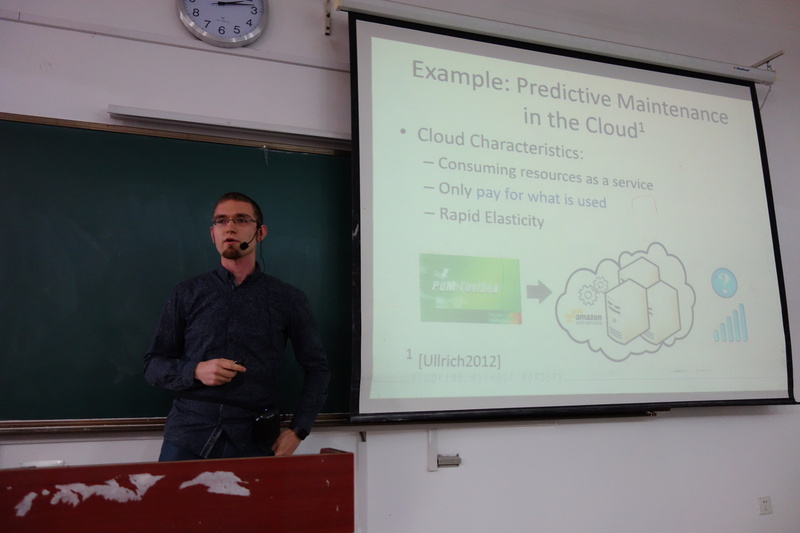 He spent three months at the National Institute of Informatics in Tokyo, Japan during an internship where he worked on the modeling of applications and resources in cloud environments. His current research interests are data mining and cloud computing as well as the simulation and modeling of complex distributed systems.